We arrived in Auckland in the early hours of Sunday morning, bleary eyed and chilled after the sudden change from the tropical temperatures. We bundle out of the airport and into the first shuttle we could find – $43 for the two of us into the city centre seemed steep, but at 1am who were we to argue. As it turned out the driver was a wealth of useful information so we more than compensated for the price with inside info on things to see and where to go. One useful heads up was that Auckland was hosting the sports Masters tournament that week, with 28,000 competitors plus support teams arriving in the city – that explained the high prices for everything from hostels to campervans! We pulled up outside our Hostel, the Surf and Snow at gone 2am and sparked a painful 30 minute dialogue with a gormless and clueless receptionist. Despite the early hour the reception was still busy with a bizarre selection of young travellers and old hippies lounging around. To add insult to injury our travel credit card was declined so I had to venture out onto the street to find an ATM – watching drunk people stumbling out of the pubs reminded me of London. Once we finally managed to pay for our room we were given room 101 – ominously after our Hong Kong experience it was the nearest to reception. On entering it was also clear it was simply a high ceiling box. There were no windows, only two rickety beds, so discoloured brown walls and a pretty horrific carpet. Our heads hit the pillow almost immediately but we slept badly, the sound of each shot from the game of pool in reception echoing through the ventilation system. It was one of the worst nights sleep we’d had in four months. Despite exhaustion we were up early to meet our friends Angelo and Rathika for the day. We strolled around the city centre, headed for the ferry terminal. 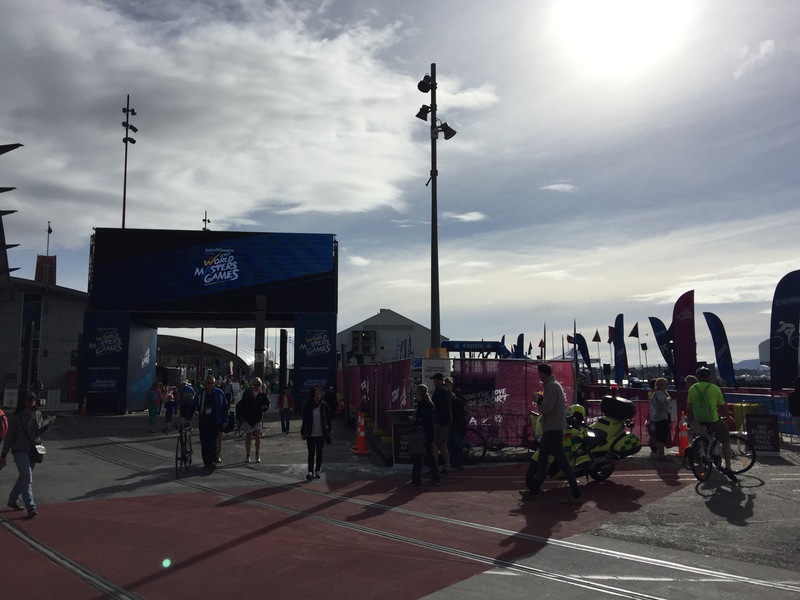 The streets of Auckland were all branded for the Masters and the crowds were already building around the harbour, cheering on the cycling. 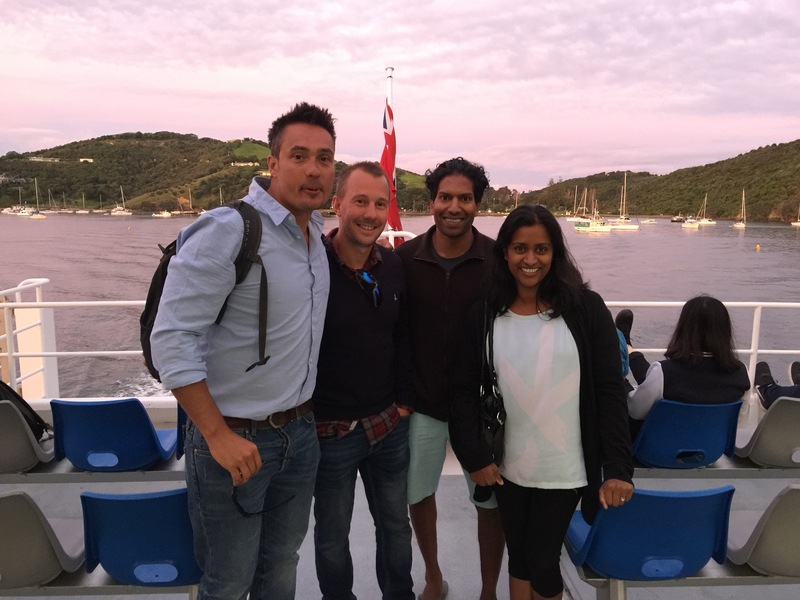 We soon caught sight of Angelo and Rathika and after a quick coffee run, we boarded the ferry for Waiheke Island and a day of wine tasting. 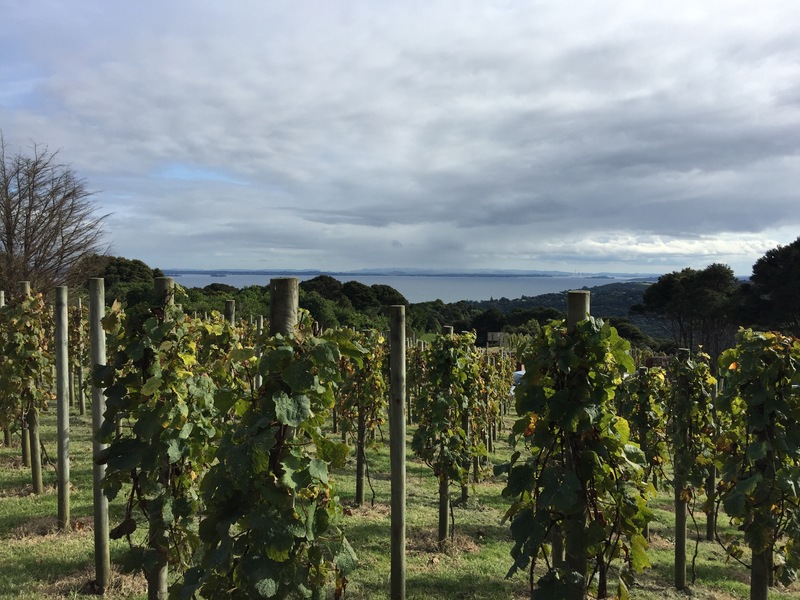 What we didn’t realise is that Rathika had kindly hired a car for the day, to drive us around the island and see the sights while also enjoying a sampling of some of New Zealand’s finest wines. With the sun shining and only a light autumn breeze in the air, the weather was perfect for a day out. As we sailed out of Auckland we enjoyed a wonderful view of the islands before arriving in Waiheke and making our way to Cable Bay wine estate. 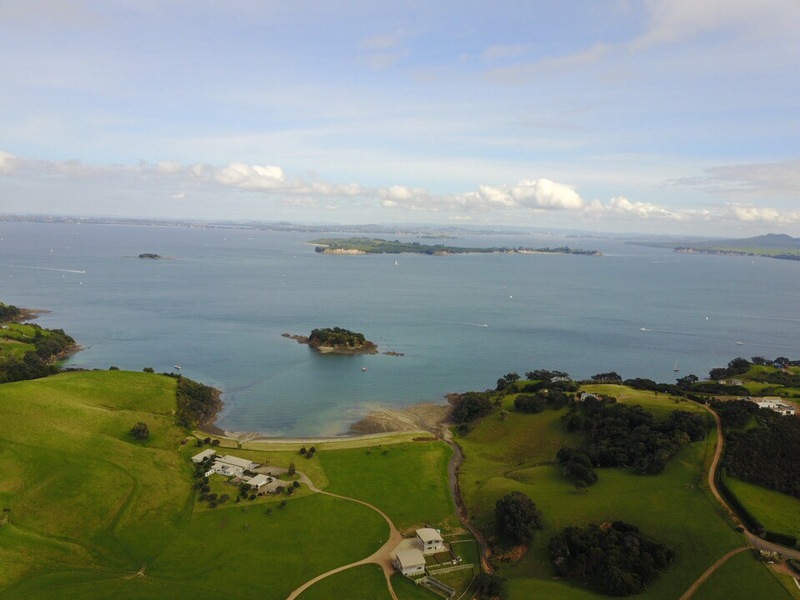 After a quick taster menu of five of their wines, reds, whites and a rose, I got the chance to fly the drone and get some photos of the vineyard and views back to Auckland. As lunch was fast approaching we headed to the Mud Brick estate which was our favourite of the six we visited. 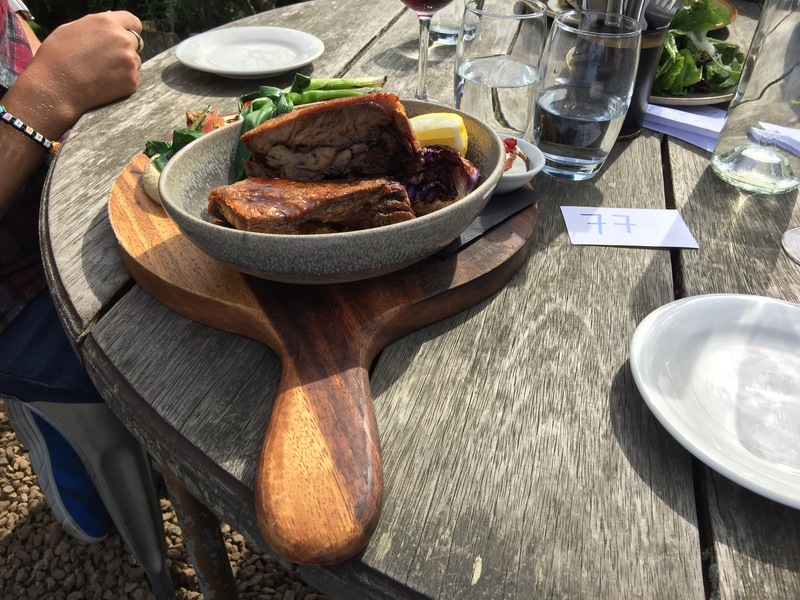 We sampled the Premium tasting menu including a rather nice Syrah over a mouth watering lunch of New Zealand lamb – the view, food, wine and company were perfect. It was fantastic to catch up with Rathika and Angelo who we’d met in Namibia back in 2008 – despite having not seen them in nearly nine years it felt like only yesterday. After four months of travelling and a greatly reduced alcohol intake it was amazing how quickly the wine went to our heads – but we powered on around the island stopping at Batch, Obsidian, Jurassic Ridge and Stoney Ridge estates to name but a few. The wines varied greatly in blends from Syrah to Reisling and Cabernet Sauvignons but all were of the highest quality. With sunset fast approaching we dropped off the rental car and made a dash for the ferry, literally making it with five seconds to spare – the people behind us weren’t so lucky! We opted to go up to the top deck and were blessed with a spectacular red sky sunset, although the downside was being slightly windswept. Once back on shore in Auckland we said our goodbyes to Angelo and Rathika and made our weary way back to our hostel – knowing another early start was ahead of us.